Pay only for what you use. There is no minimum fee. Estimate your monthly bill using the AWS Simple Monthly Calculator. 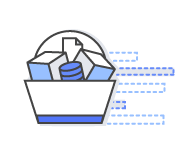 We charge less where our costs are less, and prices are based on the location of your Amazon S3 bucket. As part of the AWS Free Usage Tier, you can get started with Amazon S3 for free. Upon sign-up, new AWS customers receive 5 GB of Amazon S3 storage in the Standard Storage class, 20,000 Get Requests, 2,000 Put Requests, and 15 GB of data transfer out each month for one year. AWS Free Tier includes 5GB storage, 20,000 Get Requests, and 2,000 Put Requests with Amazon S3. For Reduced Redundancy Storage pricing please visit the S3 Reduced Redundancy detail page. Amazon S3 Storage Management is priced per feature as detailed in the table below. For pricing on S3 CloudWatch Metrics, visit the CloudWatch pricing page. For pricing on S3 Data Events in CloudTrail, visit the CloudTrail pricing page. †† The files produced by S3 Inventory & S3 Analytics - Storage Class Analysis exports are stored in your specified S3 bucket, and are subject to S3 Standard storage charges. The pricing below is based on data transferred "in" to and "out" of Amazon S3 (over the public Internet). AWS Direct Connect pricing can be found here. Transfers between S3 buckets or from S3 to any service(s) within the same region are free. Pricing is based on the AWS edge location used to accelerate your transfer. Transfer Acceleration pricing is in addition to Data Transfer pricing. Each time you use Transfer Acceleration to upload an object, we will check whether Transfer Acceleration is likely to be faster than a regular Amazon S3 transfer. If we determine that Transfer Acceleration is not likely to be faster than a regular Amazon S3 transfer of the same object to the same destination AWS region, we will not charge for that use of Transfer Acceleration for that transfer, and may bypass the Transfer Acceleration system for that upload. Check your performance with the Amazon S3 Transfer Acceleration speed comparison tool. 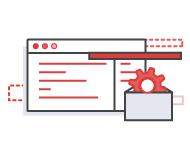 CRR is an Amazon S3 feature that automatically replicates data across AWS regions. With CRR, every object uploaded to an S3 source bucket is automatically replicated to a destination bucket in a different AWS region that you choose. You pay the Amazon S3 charges for storage, requests, and inter-region data transfer for the replicated copy of data in addition to the storage charges for the primary copy. Pricing for the replicated copy of storage is based on the destination region, while pricing for requests and inter-region data transfer are based on the source region. AWS GovCloud is an AWS Region designed to allow U.S. government agencies and contractors to move more sensitive workloads into the cloud by addressing their specific regulatory and compliance requirements. For pricing and more information on the new AWS GovCloud Region, please visit the AWS GovCloud web page. * Your usage for the free tier is calculated each month across all regions except the AWS GovCloud Region and automatically applied to your bill – unused monthly usage will not roll over. Restrictions apply; See offer terms for more details.